I had a little remaining paint even after the abstract hares . Browns! I thought I had better make a change, it’s a dog! Greyhound this time. And it has legs, something I usually avoid, I think I am getting brave venturing away from heads only? 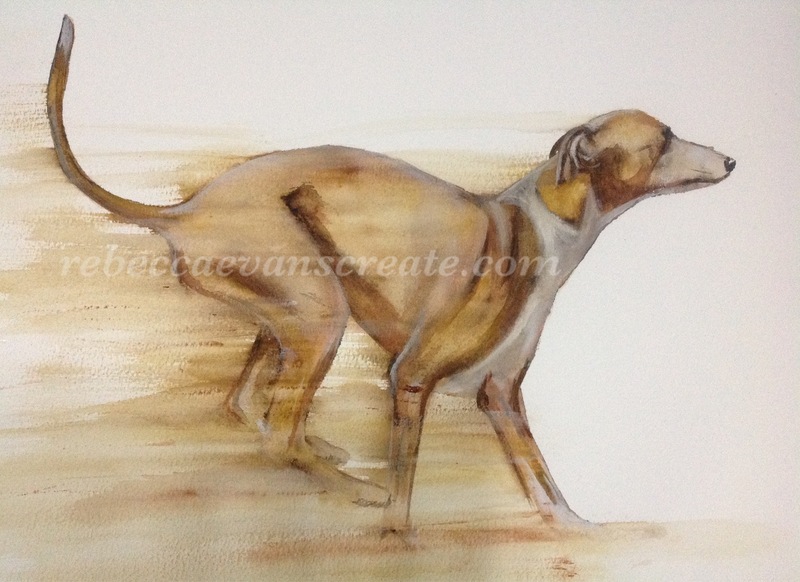 This entry was posted in art, dog, greyhound, watercolour and tagged art, Dog, greyhound, painting, Painting, watercolour. Bookmark the permalink. This is a really beautiful portrait – I love the movement! Brilliant! Thank you Jo, he was a very relaxing paint. You’re wonderful here, great movement and capturing the natural beauty. Wow! Thank you, they are beautiful dogs in movement…and sleeping, I plan on painting a saluki , they are so regal, majestic, and lots of hair!